Specialty Material Handling: Applications that contain, enclose, protect, and house items of value, e.g., food products, medical components, textiles, and other valuable consumer and industrial items. At DeKALB Molded Plastics, we have expertise developing and manufacturing applications that support the Material Handling segment, a traditional market supported by structural foam. 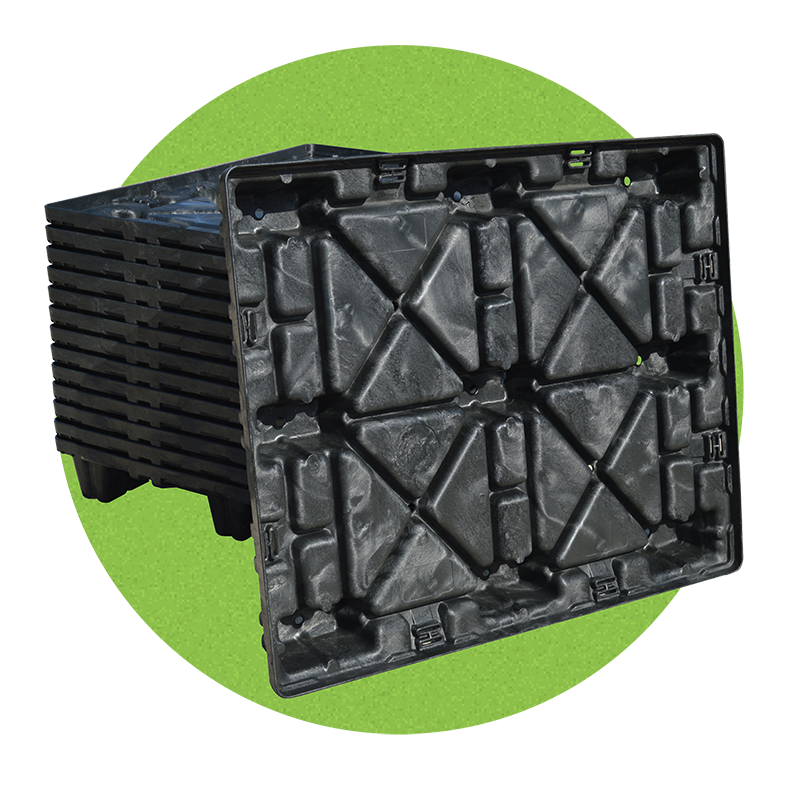 As a leader in the industry, DeKALB supports this segment with rigid plastic pallets and folding transport boxes for bulk and liquid products. Over the years DeKALB has evolved to broaden our value proposition and manufacture applications that support higher value materials. We are dedicated to application innovation to reduce costs and maximize efficiency. Our low pressure injection molding process focuses on structural foam molding. A chemical blowing agent is used to create a solid cellular structure, consequently reducing weight and cost. The result is an application that maintains a strength-to-weight ratio similar to metal. We also specialize in gas assist molding, where nitrogen gas is used to hollow out thicker sections of application geometry to deliver faster cycles (again reducing weight and cost). After more than 30 years in the business, our development processes have been perfected through dedication to industry demands.